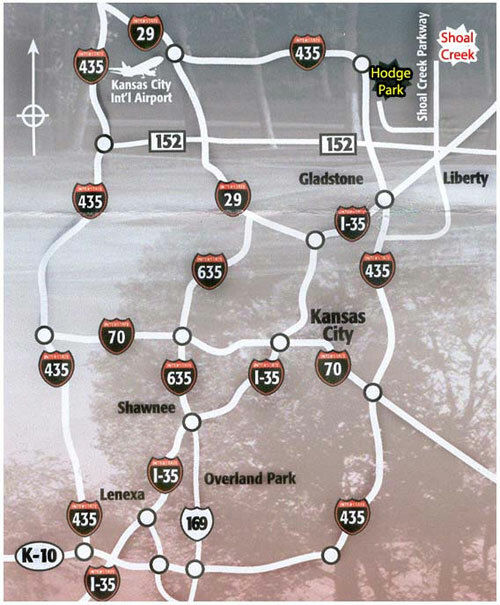 Take I-35 North to I-435 North. Proceed on I-435 North to 152 Hwy East (exit 49B). Proceed east on 152 Hwy for one mile to Shoal Creek Parkway and exit to the left. Proceed north for ½ mile and the golf course parking lot will appear on your right. Total miles approximately 18 miles…average travel time 20 minutes. Take I-435 East to 152 Hwy East (exit 49B). 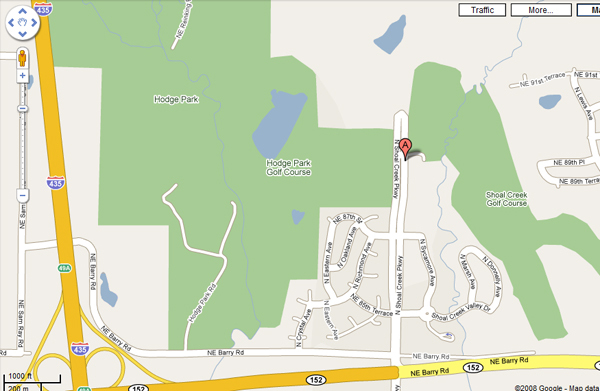 Proceed east on 152 Hwy for one mile to Shoal Creek Parkway and exit to the left. Proceed north for ½ mile and the golf course parking lot will appear on your right. Total miles approximately 15 miles…average travel time 15 minutes.